This hotel is strategically located quite close to the lively areas and many tourist attractions, and the Monkey Forest is just a few minutes walk away. The friendly and accommodating staff with their warm smile and morning greeting will surely impress you. 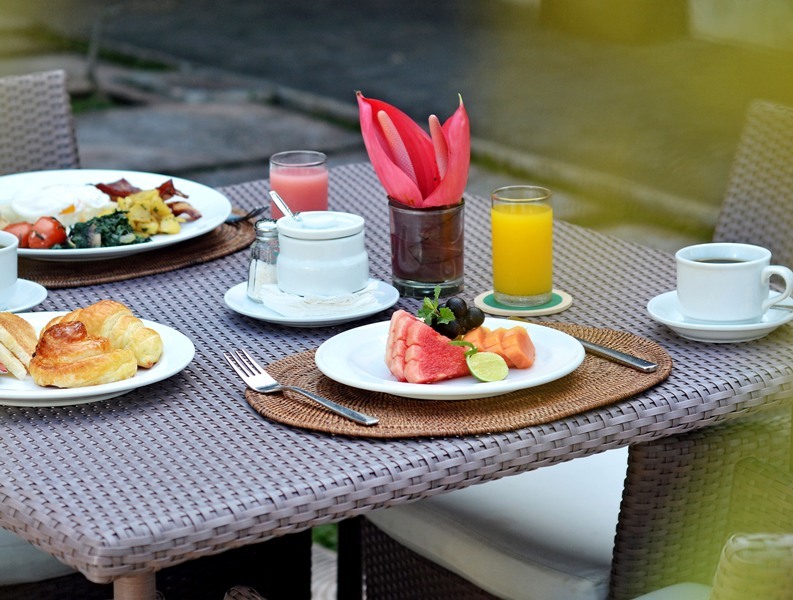 Comfortable rooms, swimming pool and a good breakfast deserve a special mention too. Pertiwi Resort & Spa Ubud is a contemporary style 3-star property in Bali that never fails to impress its guests with its modernity and style. Surrounded by native flora and offering sublime views, the property offers a comfortable shelter for couples, honeymooners and families. 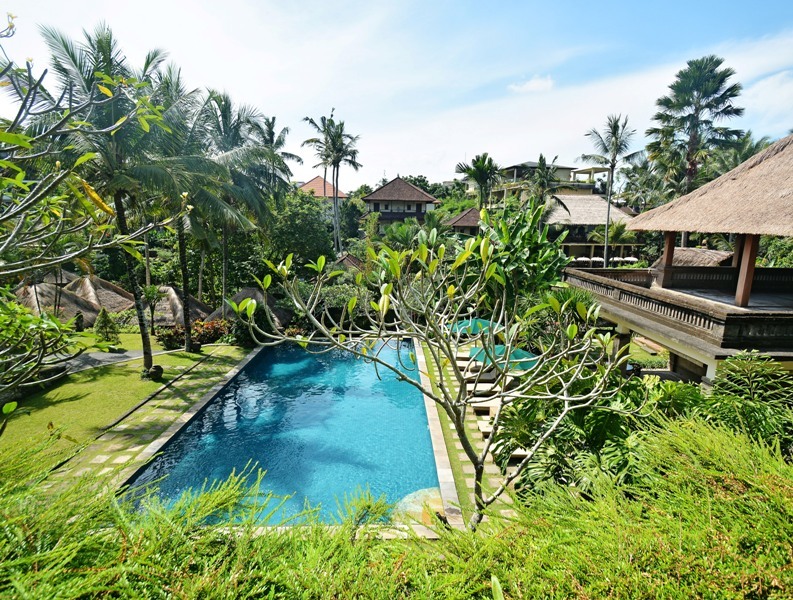 Its location in Ubud, which is well-known as the artistic and cultural heart of Bali, makes this place all the more appealing for nature lovers. Guests can engage in a variety of activities to relax their senses and get some entertainment dose. One can take part in Balinese dancing class or go on a cycling tour to explore the scenic beauty. For an adrenaline rush, guests can also opt for trekking and hiking tour. Additionally, Pertiwi Resort & Spa organises yoga sessions for a complete mind-body workout. Revitalise senses by embarking on a journey of relaxation at the Beji Spa. The elegant spa comprises four individual pavilions and offers aromatherapy and traditional massages, which in turn provide therapies for ideal synchronization of mind and body. A Jacuzzi system is another feature wherein guests can unwind while sipping a herbal cocktail or spice tea. Moreover, close proximity of the property to nearby tourist hubs and public transport terminals makes it the right choice to explore Bali. 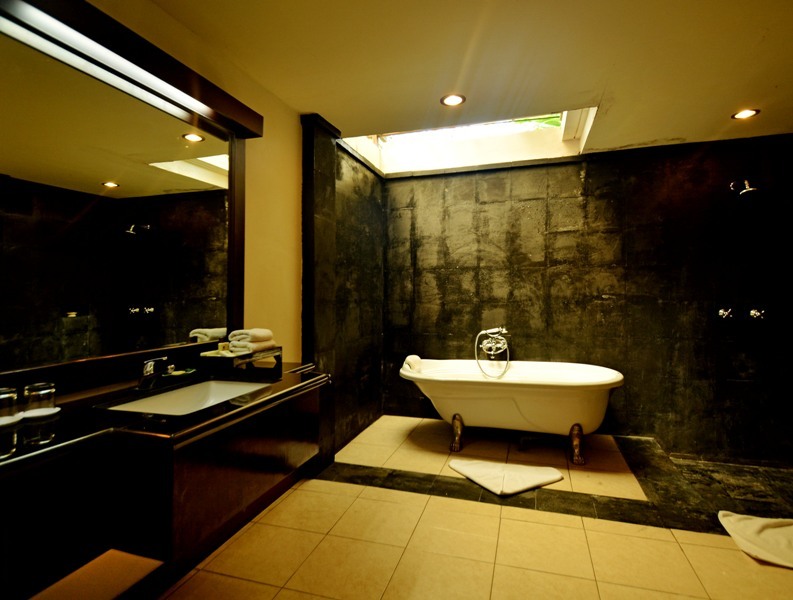 Pertiwi Resort & Spa is a 1-hour drive from the Ngurah Rai International Airport. 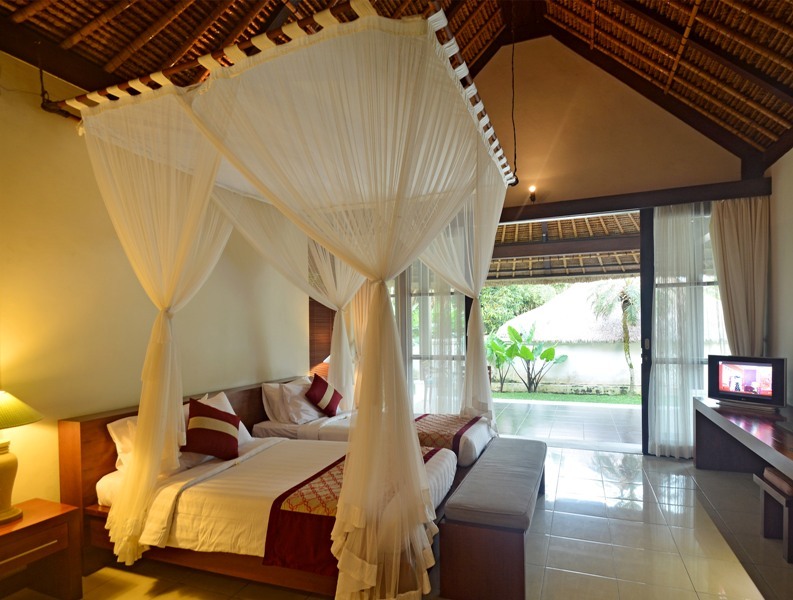 Pertiwi Resort & Spa Ubud with friendly staff offers rooms, which are a perfect blend of warmth and comfort. Catering to different needs of the guests, the property offers accommodation units under five categories segregated as super deluxe rooms, deluxe suite, superior pool villa, deluxe pool villa and two bedroom pool villa. All the rooms offer amenities like shower room, satellite TV, complimentary Wi-Fi, workstation and mini bar, apart from a private balcony which offers picturesque views of lush green garden. Two bedroom pool villa features a private pool, kitchenette and outdoor dining facility, apart from a spacious garden terrace and gazebo. Additionally, it offers amenities like satellite TV, safe deposit and mini-bar. Located in the cultural heart of Bali, guests can choose from a wide variety of activities at Pertiwi Resort & Spa Ubud. 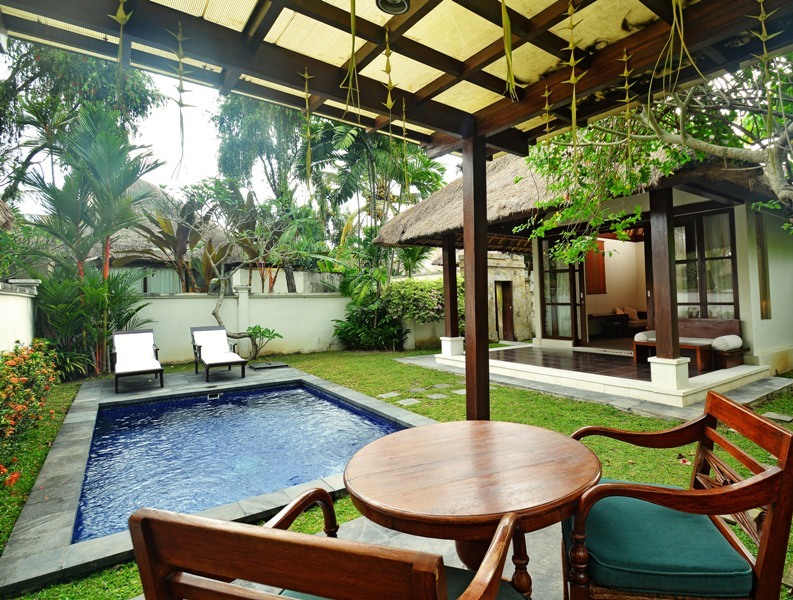 The outdoor area of the property is a treat to sore eyes as it boasts of lush green environment. 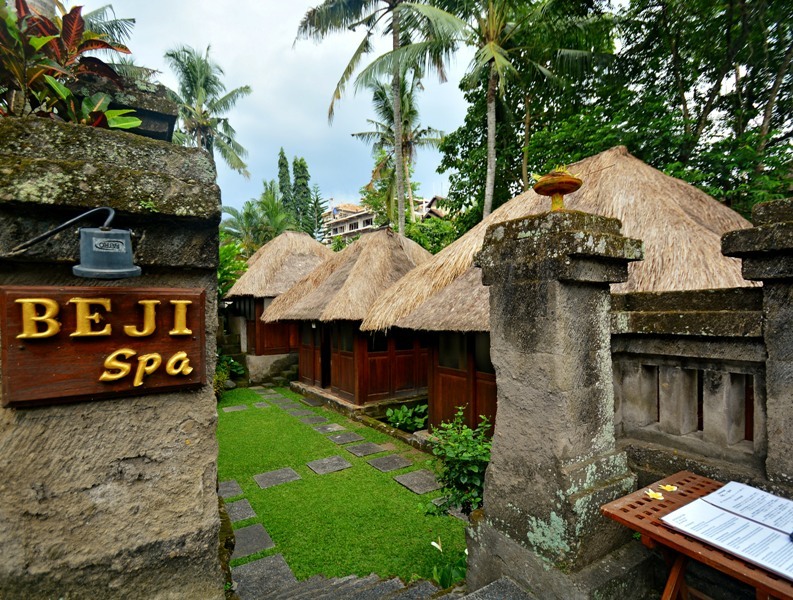 Indulging in soothing massages and aromatherapy at Beji Spa helps one rewind and escape the everyday stress. Guests can also learn Balinese dance or take part in yoga sessions for balancing mind, body and spirit. One can also opt for a cycling tour to explore the breathtaking surroundings. To pump up the adrenaline, guests can also go for trekking and hiking tour. Besides, the property maintains a parking area and offers 24-hour front and travel desks. Pertiwi Resort & Spa also offers various facilities like luggage storage, currency exchange, concierge and complimentary Wi-Fi. 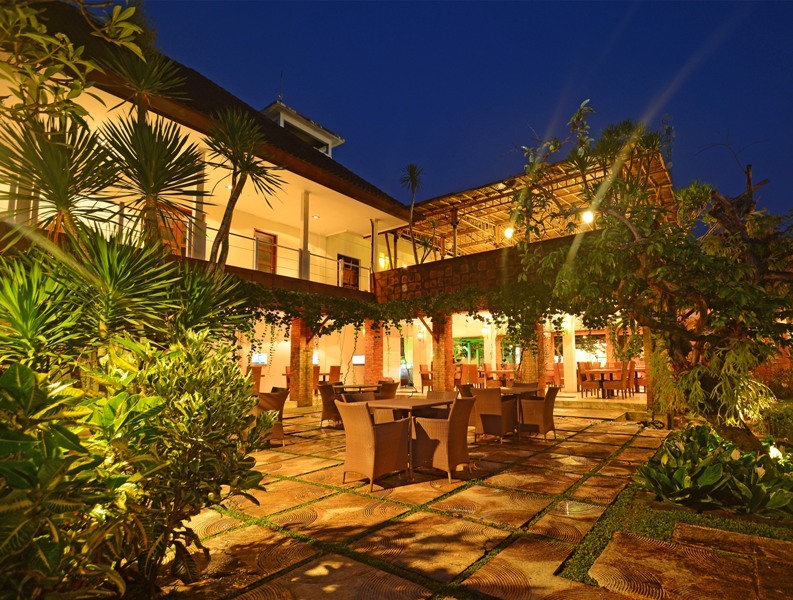 GreenHouse, a one-stop complex at Pertiwi Resort & Spa Ubud, offers several facilities under one roof. It features both indoor and outdoor dining areas, a well-equipped bar and a spacious lawn for organising picnics. A party lounge, which is equipped with large day-beds, is also a part of the complex for a superior experience. Moreover, guests can also enjoy scenic views from the terrace. The GreenHouse offers delectable Pan-Asian dishes in breakfast, lunch, and dinner, apart from serving refreshing teas. Pertiwi Resort & Spa Ubud offers countless opportunities for creating myriad memories. The property provides stunning wide-ranging facilities and services, thus catering to a variety of needs of its guests. One can also let go all the stress and anxieties and indulge in a range of well-being activities arranged by Pertiwi Resort & Spa. Yoga and spa sessions are likely to engage one in a total mind-body workout, thereby helping the guests unwind in a scenic environment. 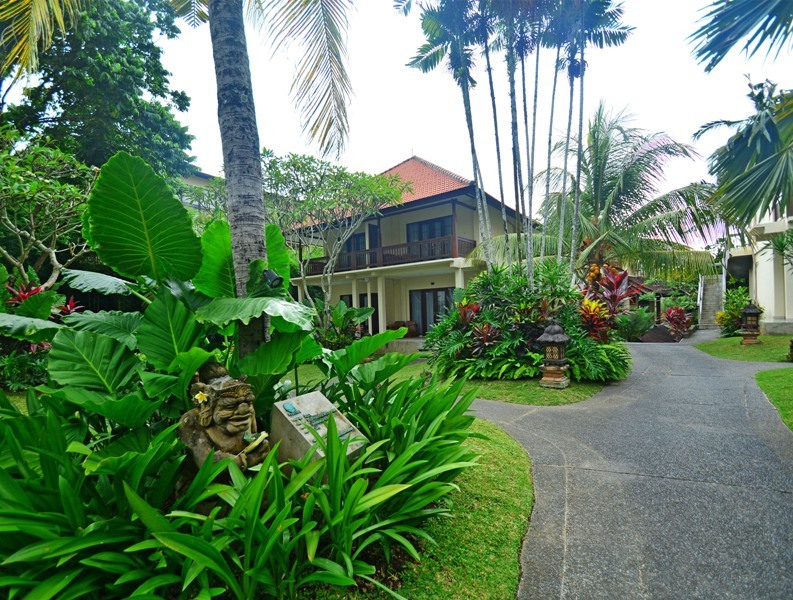 Pertiwi Resort & Spa Ubud is nearly 38 km away from Ngurah Rai International Airport. Does the hotel provide airport pickup service? Yes, the hotel provides airport shuttle services but at an additional cost. Pertiwi Resort & Spa Ubud offers a variety of activities ranging from trekking to cycling to yoga. One can also relax at the spa sessions within the premises. Does the hotel offer dancing classes? Yes, guests can learn Balinese dance at Pertiwi Resort & Spa. Can guests avail any special package at the hotel? 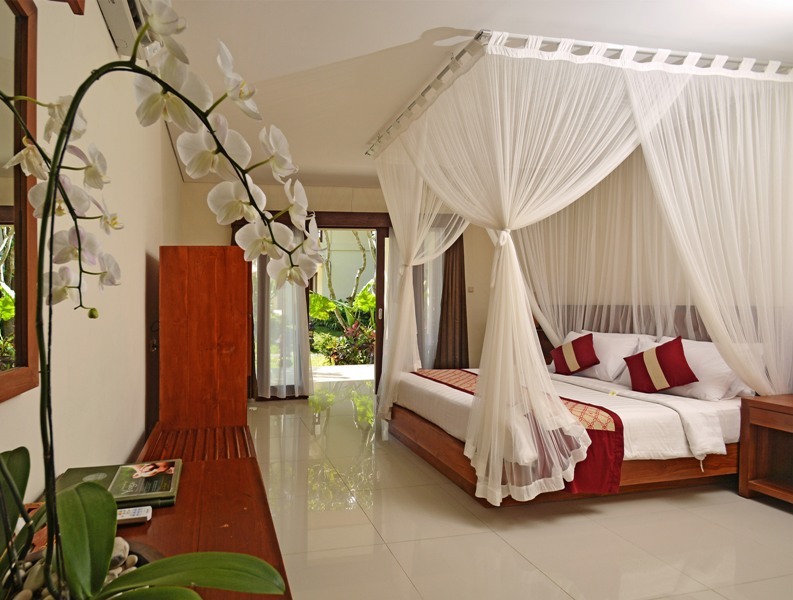 Yes, the Pertiwi Resort & Spa Ubud offers honeymoon package to its guests. For those wanting an idyllic location to unwind, Pertiwi Resort & Spa Ubud is a perfect place to plan a holiday. Here, experience the beauty of raw nature and find solace while being surrounded by vibrant greenery and soothing ambiance. 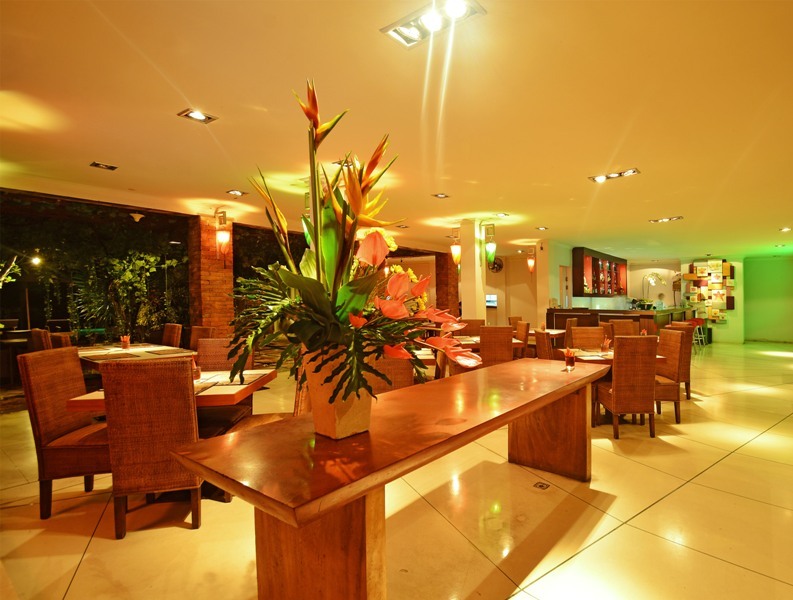 The property is also known for offering warm hospitality with friendly staff. Whether its a spa treatment, cycling, dance classes, trekking or hiking, the guests have endless ways to unwind. One can expect exemplary services and facilities in addition to scrumptious delicacies served with a cordial smile. The accommodation options at the resort offer a relaxing ambiance after a days tiring excursion. 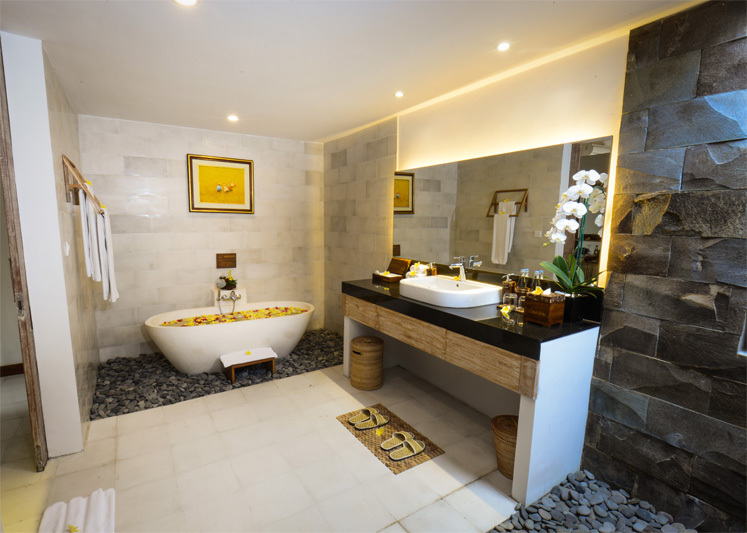 Altogether, Pertiwi Resort & Spa Ubud is a place where one can nourish mind, body and soul. An ideal blend of tranquility and warm hospitality makes this place a perfect location to escape the chaos of everyday life.